There a lot of special offers across the Nintendo eShops this week as part of a new Spring Sale. Since there are just so many, we've put together a special extra article to cover the new discounts in Europe. Let us know in the comments section below if you'll be taking advantage of any of these awesome special offers. We know we certainly will be. Enjoy! Wow, thanks for listing these separately. A great clutch of discounts, but nothing I was hoping for sadly. Thanks for listing! Will there be a North American variant of the article, if not that's fine. Just bought Apollo Justice and Rocket League. Still tempted on getting Oceanhorn but still unsure yet. May also get Resident Evil Revelations 2, Count Lucanor and Rive. Please do this for the NA sales too. It’d be very much appreciated. @YummyHappyPills They are now equal to the discounted price. Letterquest, Shu, and Steamworld Dig for me I think. I may end up picking some more up next week but my wallet may not be happy. Does anyone know if the additional discount still works when you buy Resident Evil Revelations 1 or 2? @YummyHappyPills I think it's the price you actually pay, so the discounted price counts. 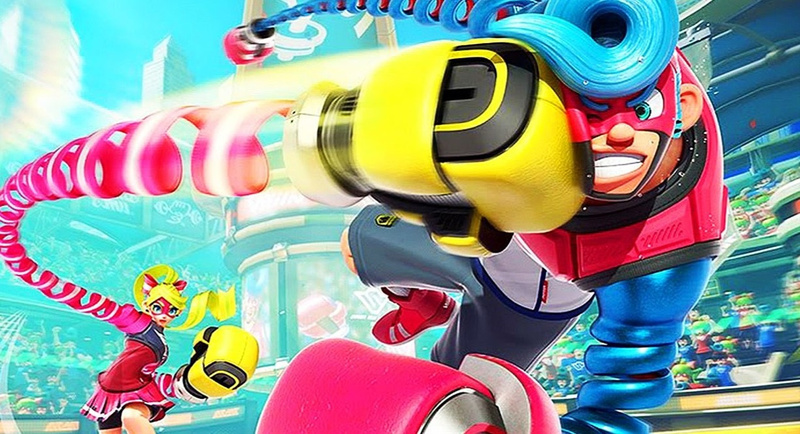 For example: ARMS is 40 euros, 5% of it is 2 euros = 200 gold points. This is actually the best sale Nintendo has ever done! All the Wii U games are so cheap! Where's the poll @Dom so I can vote "nothing for me this week"? I was really hoping for Zelda and Fire Emblem DLC to be on sale. Flipping heck. Fe only came out about five minutes ago... For me, I'm going to give ARMS, Resident Evil Revelations, Blossom Tales and SteamWorld Dig (the original) a very long, hard stare. Got about a fiver's worth of credit to throw into the mix, too. Eyeballing a few but many am waiting for physical releases. So just a few. Disappointed there are no Wii U VC games on sale, so many I want to buy especially the TG16 and GBA. Also, what is the point of a <£1 saving??? It is a shame that there are not more Nintendo published games on sale. I picked up Steamworld Dig 1&2, Rocket league and some of the rocket league DLC. Good sale I own most of the AAA ones and am almost out of space on my SD card anyway. That’s a lot of good deals! Blossom tales, RE Rev 2 for sure and maybe I’ll double dig with the SteamWorld games! Fe, Serial Cleaner and Thumper are tempting me. Not sure which one to get. These coins are burning a hole in my pocket. I initially passed on SteamWorld Dig as I don't really need to play it again but at 50% off, I had to add it to my Switch collection. I have most of the games from that list that I wanted already but there's still a few that I'm very tempted by, like Blossom Tales and Aegis Defenders. At first glance, I intend to buy Steamworld Heist, Owlboy, Letter Quest, Shu, Mummy Demastered and possibly Serial Cleaner, Axiom Verge and Splasher. Not sure of the last 3. I'm considering getting Super Hang-On and Gunstar Heroes. It's been a long time and I don't think they're bringing Sega 3D Classics Collection Final Stage to the West, let alone Europe. It's a shame, but let's face it: it was released on november 2016 in Japan and still no news. And I've let go similar sales before because I wanted to be patient, but I think it's impossible they release the compilation here at this point. On Switch I could get Mighty Gunvolt Burst and Kamiko. Where are the US discounts? Looked at the US discounts. Kamiko, Rocket League, Blossom Tales, LA Noire, Thumper, Jackbox Party Pack 2, and the Steamworld games are on sale in the US, among others. By the way, buying Jackbox Party Pack 2 gets you a 20% discount on the first and third games. Thanks for listing these. Think I’ll pick up Apollo Justice: Ace Attorney. Really disappointed most of the Switch sales are 10% or 15%, like really just don't bother. As for the bigger discounts, they seem to be on games that are already far cheaper at retail. All in all nothing for me. Resident evil ! And disc jam for me! 3DS has some nice discounts. Got Monster Hunter Stories and Metal Gear Solid: Snake Eater 3D. Still trying to decide what I should get for Switch. I'm looking at L.A. Noire, Skyrim, Doom and Resident Evil: Revelations 1 & 2. Does anyone know how the "buy both Resident Evil games to get a discount" applies here? The eShop page doesn't even say the amount. Think I'm gonna nab some of those digital retail Wii U offerings as I don't see those games get reduced often if ever. Hell, I never see the Arkham games go so low on Wii U. After trimming down to an acceptable price ( there's so much more I want) I'll get Kamiko, WonderBoy, Floor Kids, Blaster Master, Bleed. I also want Sol Divide, Danmaku, and Aero Fighters 2 and 3. That takes care of my 70 quid limit, and I should have enough to get Master Blaster DLC with remainder of cash and gold coins. We need a similar batch of sales in the US! when do NA sales get announced? @ValhallaOutcast They put some up at the usual time (noon EST) today. But it’s nothing like these UK sales!! Jeez. Wonder Boy is very tempting at that price, but I wanted the physical release. Just picked up Doom and Skyrim on the South African eshop for about 26 quid each. Bummer that this aren't available in America. Gah! I just bought Owlboy last week, but enjoying it so much that I think it's probably worth full price. Out Run is a must buy. Can’t recommend it enough. There's so much I want that I don't know where to start. ARMS would be nice and Kamiko. Splasher reminds me a little of Splatoon. Must remember though there will always be another sale. I out a bunch of stuff I'm generally interested in but have only got Humanity in Chains so far. With Switch titles, I would've preferred to take the L.A. Noire offer first (not getting LCU before its prequel), but with my home internet acting up for the time being, I chicken out of pumping 40 Gb through mobile data. XD So I've just modified my earlier ambitions for the month and invested in Fire Emblem Warriors but without the season pass; might as well wait for payday on the 6th when the third DLC pack has been released. Depending on the rest of the expenses, I might and would hope to grab something else, but the odds are low. As mentioned above, my next ca-ching is due on the 6th, so OF COURSE the sale ends at 23.59 on the 5th. Sweet, sweet discounts! Count Lucanor, Axiom Verge, Kamiko and Severed for me, enough games to keep me playing for a while, although I'm still busy with Celeste! Picked up Fé. Using my gold coins it only cost €8. Ideal. Well, this is nice! Picked up Wonderboy and looking at Fe. If a few of the indie titles were £9.99 for Switch I'd buy without a second thought, but putting them at £12.46 or whatever is just enough to rein in on the impulse buys.